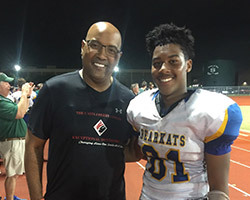 Dr. Castleberry is a native Houstonian and graduate of the Meharry Medical College School of Dentistry. He then completed a General Practice Residency with the United States Navy. Dr. Castleberry was an Amphibious Special Operation's dentist with the United States Marines aboard the USS Pelelieu, where he maintained the dental health of over 3,200 Marines and Sailors. Dr. Castleberry's unwavering dedication resulted in a 97% readiness status of his deployed servicemen. 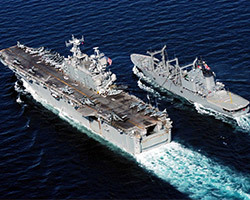 This Herculean effort was instrumental in the success of numerous deployment missions, which were of the utmost importance to the national security of the United States. Dr. Castleberry was awarded The Navy Achievement Medal, The Armed Forces Expeditionary Medal, The Navy Expeditionary Medal, The Fleet Marine Force Ribbon, Two Meritorious Unit Commendations and The National Defense Service Medal. Dr. Castleberry is also a sharpshooter and an expert marksman. Dr. Castleberry earned the nickname "Painless" from his fellow Marines because he erased all their dental fears. He has now transferred this painless approach to dentistry to his private practice in Houston. Dr. Castleberry is a member of the Academy of General Dentistry, Greater Houston Dental Society, National Dental Association, Texas Dental Association, Gulf State Dental Society, and the Charles A. George Dental Society. 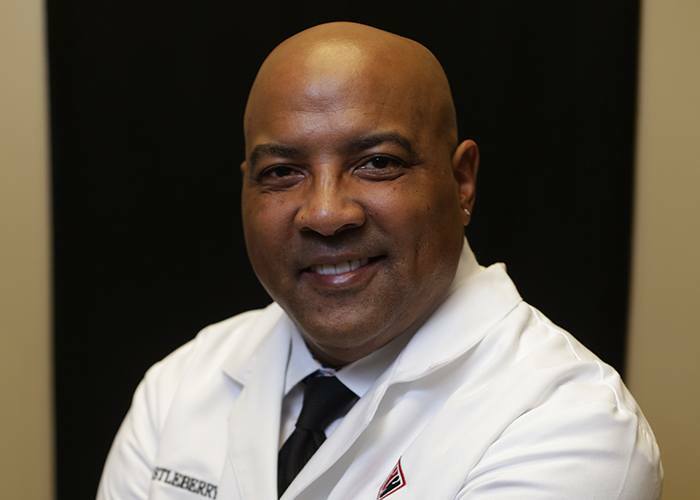 He is an active member of Kappa Alpha Psi Fraternity Inc., and he has also earned Fellowship status in The International Congress of Oral Implantologists (ICOI). Fast becoming known as one of Texas’ leading cosmetic and restorative dentists, Dr. Castleberry and his dedicated team at The Castleberry Center are committed to being at the forefront of dental techniques and technology. Recognized by H-Texas Magazine as one of the top cosmetic practices in the nation, Dr. Castleberry is a continuing scholar at the world-renowned Las Vegas Institute (LVI) for Advanced Dental Studies. What does it mean to be an LVI-trained cosmetic dentist? LVI dentists are unique in that they have received post-graduate training at the world’s preeminent cosmetic dentistry training facility. For the most part, advanced cosmetic dentistry is not taught in dental schools. LVI alumni have chosen to further their education, knowledge, and experience by attending courses and seminars about the latest cosmetic dentistry techniques, treatments, and technologies. Dr. Castleberry is a qualified, experienced LVI alumnus who is proud to help you achieve the smile you have always wanted. Dr. Castleberry has completed the Misch Surgical Program. He received his completion certificate from the Misch International Implant institute at commencement ceremonies conducted in Orlando, FL. 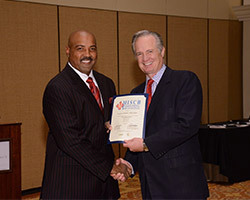 The Misch faculty nominated Dr. Castleberry after completing their surgical training programs. The requirements reviewed the major diagnostic and surgical steps involved to restore each patient to proper oral function and esthetics. Dr. Castleberry was also required to take an extensive written examination covering the diagnostic and surgical aspects of modern implant dentistry. The Misch International Institute was developed in 1984 by Dr. Carl E. Misch to help set and evaluate the standard of care of implant dentistry using hands-on training. The institute's unique approach to provide the most progressive and documented information has awarded its graduates with experiences that they will use throughout their careers. To date, they have trained more than 2,500 doctors in a yearly forum focused on education in surgical and prosthetic dentistry. A devout Christian, Dr. Castleberry enjoys reading God's word daily. He also enjoys golf, fantasy football, and exercising. He is the proud father of Darrick Castleberry Jr.